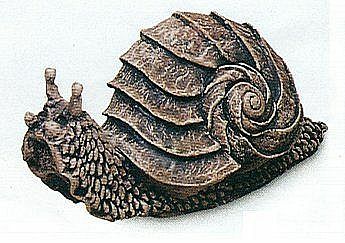 Our realistic garden snail is ready to take refuge in your garden and is harmless to your plants. Hand crafted and hand finished. Suitable also as a key safe. Resin and marble aggregates. Dimensions: 5"H x 10" x 4".